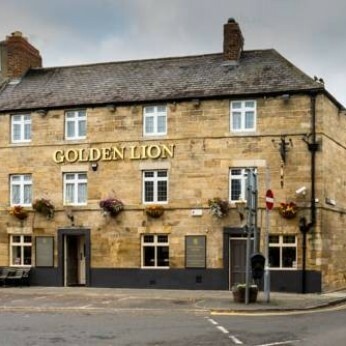 The Golden Lion is located in the beautiful historic village of Corbridge, Northumberland It was originally built as a Stabling Inn in the 18th century. We are only 4 miles from the market town of Hexham, perfect for those visiting Hadrian's Wall, Hexham Abbey, Aydon Castle and Hexham Race Course. We also have 6 letting rooms, all with en-suite bathrooms, tea and coffee facilities, TV and free Wi-Fi.